Explore the visitors and residents map below (click on the image for a larger view). Reflect on the range of digital tools and how you use them in personal and institutional contexts. 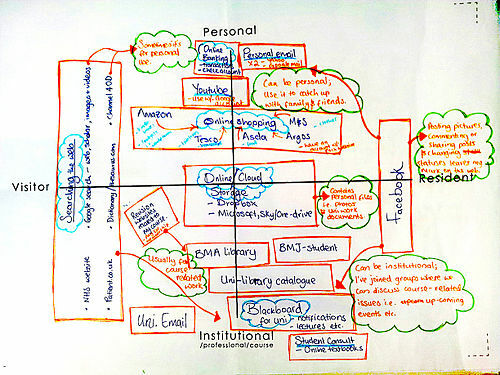 Prepare an action plan for improving your digital literacies for online learning.